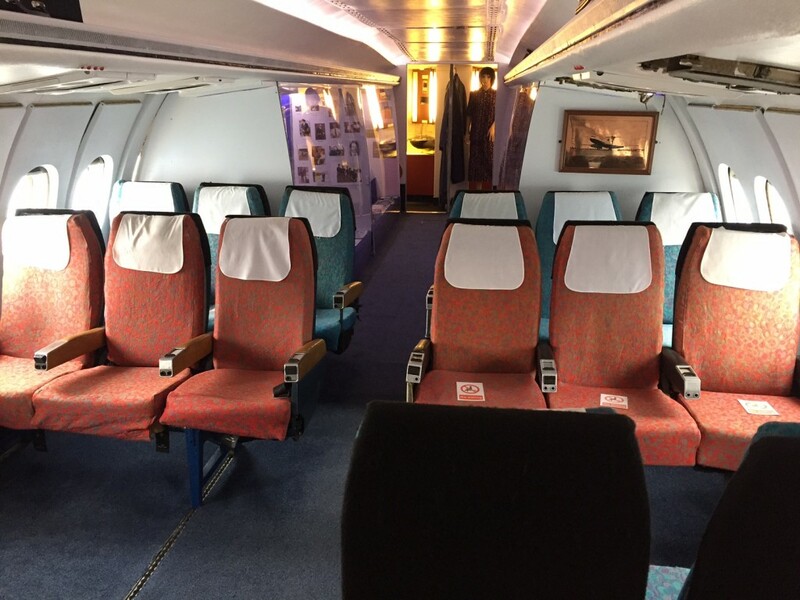 We’ve recently added two new items to our Trident interior thanks to a loan from the de Havilland Aircraft Museum. Our cockpit now sports a jump seat, whilst the galley has its very own catering trolley. Both of these items are authentic Trident parts which flew on actual aircraft – maybe even G-ARPO! They now have pride of place and make our exhibit even more interesting to visitors and Trident fans. We’d like to thank Alistair and Les at the de Havilland Aircraft Museum at London Colney (www.dehavillandmuseum.co.uk) for the kind loan of these parts, helping to enhance our Trident. Be sure to pay them a visit soon to see their fantastic collection of aircraft, including the forward fuselage and cockpit of a Trident 2E. Excellent news I shall be visiting soon. Do like to see old airliners. First one i flew in was a Bristol Britannia to Singapore 23 hours it took loved every minute of it. Look forward to welcoming you onboard Beverley!